Responsive Web Design makes your website highly accessible. Thus, you can view your site on any device. This approach uses the latest CSS rules and techniques. Most people use the internet on their phones. And this fact leads to the advent of Responsive Web Design. It makes your site compatible. Thus, you can access your site anywhere. People will not wait to return home and search something online. They will do so on their phones. And thus, you must make your websites responsive. The site must not contain blurriness. The user must see a crystal clear website on their phones as well. This feature also helps the site change according to the user’s preferences. People usually search for services on their phones. Responsive Web Design ensures the highest compatibility of your site. Your site will respond to the user’s environment and behavior. Androids have many sizes. The site also changes their sizes according to screen’s size. Similarly, blackberry also has a different size. Thus, you must ensure the proper visibility of your site. Thus, this design uses the flexible layouts. It also uses useful grids and images. The designer uses latest CSS techniques. Apple phones also demand a different resolution. Thus, many websites are not visible there. Thus, Responsive Web Design adjusts to every device with ease. Web sites inform people about your business. There are many kinds of sites. 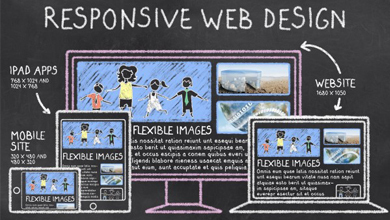 The Responsive Web Designer produces your website with patience. He uses logos and images for the site. These make your site attractive. Thus, a Web Designer designs your site with SEO in mind. He optimizes your site. Thus, it helps in ranking of your site. He also uses the valid hyperlinks and contents. All these attract a large number of traffic. Every busy person needs a website. And it depends on your nature of business. Web Design India creates websites for any business. It also optimizes your site. You can have personal sites. Artistic people usually use these websites. The photographers, post their best snaps. And then they share them with their family and friends. Web Design India can make this website as well. Responsive Web Design makes your website accessible anytime.